The National Assessment Committee has found Ståle Navrud to be qualified as Professor of Economics. We proudly congratulate the recently appointed Professor. Ståle Navrud received a Dr. Scient. degree (equivalent to Ph.D) in environmental and resource economics in 1989 from what is now the Norwegian University of Life Sciences. He has spent most of his career at UMB having held the position of associate professor first at Noragric and since 1992 at the Departement of Economics and Resource Management. Ståle Navrud has been a visiting researcher at the Berkeley and San Diego campuses of University of California on several occasions, and he has participated in countless projects funded by the Research Council of Norway and the European Commission (DG Research and DG Environment), OECD and other international institutions and government agencies. He has published 30 pages in international refeered journals, 15 book chapters and edited three books on environmental valuation, cultural heritage valuation, and environmental value transfer for use in cost-benefit analyses, respectively. Navrud has been offered professorship at the University of Bath in the UK and has been found qualified for a professorship in economics at the Aarhus University in Denmark. He has a solid international reputation in the area of environmental and nonmarket valuation, primarily for his focus on the environmental impacts of renewable energy, health effects of environmental exposures, recreational values, water quality, biodiversity, and historic and cultural heritage sites. The promotion will take effect from September 2008, when Navrud asked to be evaluated by the national assessment commitee. In October this year the committee concluded: "The committee finds that Ståle Navrud is clearly and without doubt qualified to become a professor of economics." 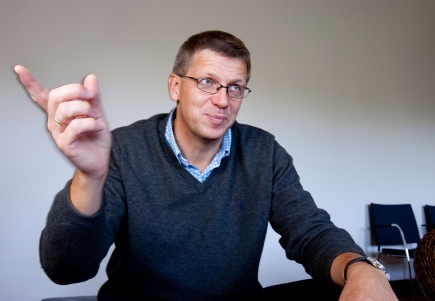 Ståle Navrud’s work is, according to the national assessment committee, "best described as lucid, creative and provocative (again, in the good sense of the word) research about elicitation of preferences in Stated Preference studies. As a researcher, he is very well grounded in policy relevance and in policy practice, and in the practical use of environmental valuation".